The Brokaw Theatre first opened its doors in August of 1931 owned by Joe Brokaw, manager of the Opera House across the town square. The first film ever shown on the big screen was the Smiling Lieutenant viewed by patrons for just 50¢ each. The Brokaw was designed by architect Mr. A.M. Strauss, known locally for his design of the Embassy Theatre. It was the finest theatre of its kind fitted with cutting edge technology and plush leather seating all surrounded by art deco features and accents. When the theatre opened it was a single screen and sat about 600 patrons. In 1990 it was divided into 2 screens to allow for multiple films to be shown each night. 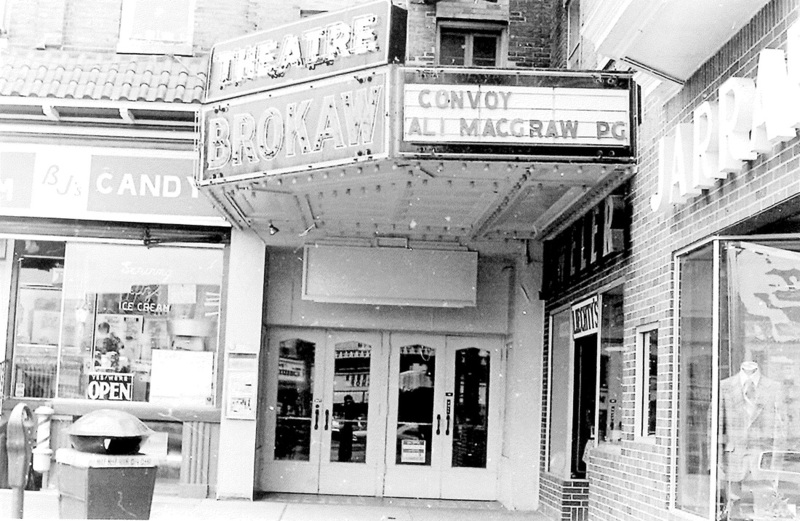 Ownership of the Brokaw Theatre changed hands over the years to many dedicated and dutiful owners. In 2014, Scott and Melissa Glaze purchased the theatre and temporarily closed it for renovations. Staying true to the original art deco period, the renovation has repaired, restored, and replicated many of the original plasterwork. 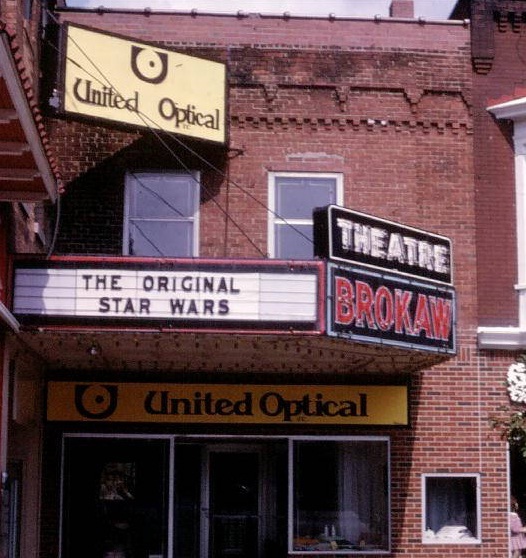 The theatre is now named the Brokaw Movie House to give a nod to the history of the cinema and the modern conveniences that have been installed to enhance the customer experience. 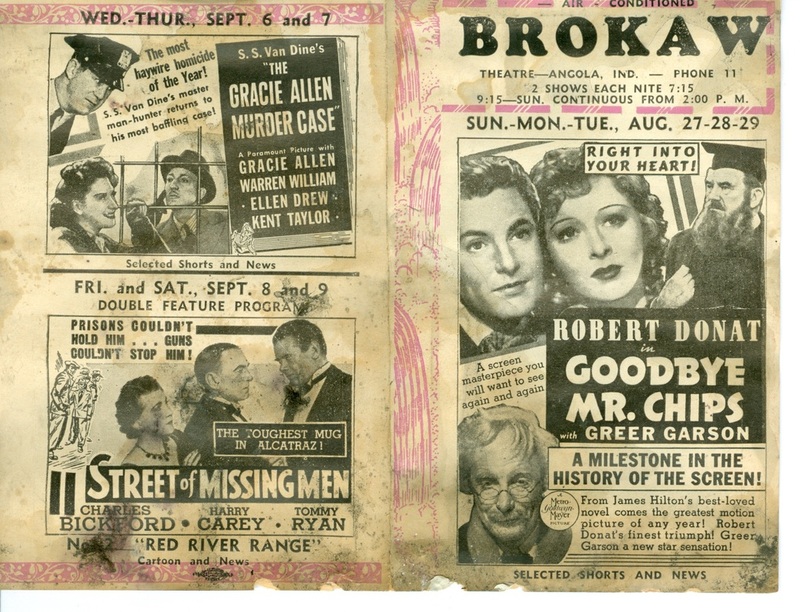 1939 Advertisement for the Brokaw Theatre. Showing Convoy with Ali McGraw in 1978. 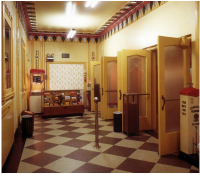 Original Lobby - Art Deco molding and terrazzo tile are still intact.